All Your Questions About Adaptogens, Answered! Have you been hearing the term adaptogen everywhere and wondering what the heck it means? 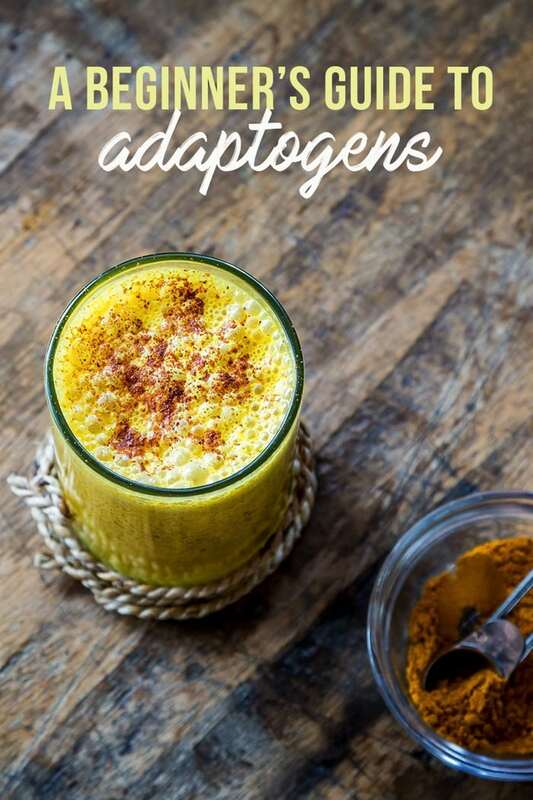 I felt the same way a couple months ago so I did some research and have created this little guide all about adaptogens. I’ll break down what they are, why they’re so popular right now and share some of my favorites. The official definition for adaptogens is a little fuzzy because it describes a wide variety of herbs, roots and mushrooms that all work differently in your body. In general, adaptogens work to normalize your physiological functions by regulating your adrenal system. This in turn helps your body respond productively to stress, fight fatigue, improve focus, boost energy and reduce anxiety. The idea of adaptogens may seem new, but the truth is they’ve been used for thousands of years in Ayurvedic medicine. In ancient India, soldiers relied on adaptogens to improve their energy and recover faster after the stress of battle. In the same way, adaptogens will help your body to adapt to outside pressures — no medication necessary! When your body is stressed, it produces excessive amounts of two hormones, adrenaline and cortisol. This leads to an increased heart rate and sky-high blood sugar levels that leave you on edge. 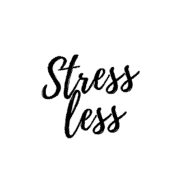 In most cases, this tense feeling disappears in a matter of minutes, but in cases of chronic stress, you feel uncomfortable longer and suffer from a wide range of physical problems like exhaustion, irritation, and inflammation. Adaptogens help eliminate these symptoms by controlling your response to stress. Studies have shown that adaptogens help increase your body’s resistance to stress by acting as an internal thermostat that keeps your stress response within safe levels. Adaptogens work to bring your hormone levels back to normal and prevent adrenal fatigue from overtaking you. There are a ton of adaptogens out there, but to get you started, here is a list of my nine favorites. Ho Shou Wu: This Chinese herb is mainly used in the root form, and it adds a creamy, nutty flavor to coffee, tea, soup and smoothies. Historically, Ho-Shou Wu has been used to prevent premature aging, treat lower back pain and eliminate dizziness. Mesquite: Not just for sweet marinades, mesquite has a nutty, sweet flavor that makes it perfect in anything you want to sweeten up without adding sugar. High in protein, fiber, and the amino acid lysine, mesquite powder can keep you looking young. Reishi: As a Chinese herbal mushroom, reishi is the most potent form of the fungi and is valued for its immunity-boosting benefits. Reishi can control the behavior of your white blood cells, which helps your immune system combat viral infections, anxiety, and high blood pressure. Pearl: Not just for jewelry, crushed pearl powder is a powerful source of amino acids and minerals that keeps your skin glowing and your hair and nails strong. Simply add it like a protein powder to your favorite smoothie and the slightly sweet taste will leave you happy. Maca: Native to Peru, maca root powder is a great source of calcium, vitamin C, amino acids and healthy fatty acids. You’ve likely seen it as an ingredient in smoothies and specialty baked goods. As a potent health food, maca may help your body relieve tension and anxiety while boosting libido and overall energy levels. Try it in this malted chocolate cauliflower smoothie. Ginseng: Possibly the most well-known adaptogen, Asian ginseng is also the most potent for improving your mental abilities and helping your body cope with stress. Ginseng is also full of antioxidants that work to naturally lower blood pressure and blood sugar levels. Holy Basil: Also known as tulsi, holy basil has been shown to help you fight fatigue and stress while boosting your immune system and regulating blood pressure and hormone levels. Ashwaganda: Often called Indian ginseng, ashwaganda works to regulate the immune system and ease anxiety by lowering cortisol levels. In small amounts, ashwaganda also helps keep the mind sharp. My baked chai oatmeal cups actually have a boost of ashwaganda. Rhodiola: Commonly known as golden root, rhodiola acts like a buffer to the body for stress related fatigue, both physically and mentally. Due to the phytochemical salisdroside, rhodiola helps relieve anxiety and minimize the signs of aging. Popular with Sherpas that work on Mount Everest as a way to prevent altitude sickness, rhodiola is a natural way to boost your energy levels. Long ago, adaptogen use was restricted to traditional Chinese medicine. Society is finally starting to catch on to the incredible benefits in these herbal plants, and today adaptogens are common ingredients in smoothies, tonics and supplements. There’s no “right” way to take adaptogens, except for the way that makes you take them regularly! Whether you prefer a simple supplement or rather drink down from green juice, the choice is up to you. Some people take adaptogens once a day, while others try to include them with every meal. It’s often best to take at least one day off a week (and one week off every six) in order to let your body adjust. And remember that you might not notice a difference right away, so be patient. Adaptogens are powerful, but it takes them a while to build up enough in your body to make a difference, so be patient with the process and you should start to see results. You can buy adaptogens online (I linked to a quite a few above) and in many natural food stores. We actually have a new store here in Richmond called Boketto Wellness that carries quite a few brands specializing in adaptogens like Four Sigmatic (mushroom tea/coffee), Anima Mundi Apothecary (I love their elixirs!) and Moon Juice (adaptogenic herb blends that can be added to coffee, smoothies, and warm milk). If you prefer premixed drinks, REBBL drinks are a great option and can be found at Whole Foods. Just remember that adaptogens, like superfoods, aren’t the “magic cure” or “the thing” that’s going to make you healthy. Getting healthy starts with simple habits like eating more whole foods and moving more. If you’re not doing these basic things, adding a bunch of supplements probably isn’t going to help much. 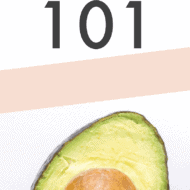 In my mind, the superfoods and supplements are just bonus items to add on once you already have the basics down. If you want to start adding in adaptogens but are unsure where to start, I highly recommend talking with a functional medicine doctor. ** Resources: 1, 2, 3. Information and statements made are for education alone and are not intended to replace the advice of your doctor. Great post ! I get so many questions from my nutrition patients about adaptogens! I love using them! You did a great job of making it simple???? Thanks for sharing this, it’s nice to have a run down about what each adaptogen does! Admittedly, I have not heard much about these, but they sound great! I have been experiencing more anxiety and have been seeing a therapist to help manage it. The funny thing is I worry how the anxiety will effect my well-being, which then creates more stress. Ha! I know you wrote about stress management months ago when addressing your amenorrhea, and I have really made it a goal of mine to lower my levels. Maybe one day I can include these. Thanks, Brittany! Are there any issues with taking birth control pills and Maca?